Home Comics Marvel unleashes the second trailer for Avengers: Age of Ultron! Marvel unleashes the second trailer for Avengers: Age of Ultron! As far as comic book movies go for this year, Marvel is riding the wave of anticipation and excitement for their upcoming sequel to their 2012 smash hit superhero team flick that is The Avengers… And now the House of Ideas has presented a brand new trailer to the millions of fans worldwide looking forward to the return of Earth’s Mightiest Heroes in the big screen with this summer’s “Avengers: Age Of Ultron“! In the brand new film set some years after the first team-up film, The Avengers reunite to face a threat that was unwittingly created by one of their own. After the destruction of S.H.I.E.L.D. and needing a break from heroics, Tony Stark/ Iron Man develops a sentient A.I. called Ultron, with the intent of it becoming a peacekeeping program that will watch over the world. Unfortunately for Stark and his friends, Ultron goes rogue and decides that humanity is the threat that must be exterminated once and for all. As a result, Earth’s Mightiest Heroes reassemble once more to fight their newest foe, but will personal conflicts and wild card appearances be their downfall instead? In the brand new trailer we get more glimpses of the big fight ahead for Earth’s Mightiest Heroes, as well as a new and ominous instrumental version of the Disney’s Pinocchio song “I Have No Strings“, which has quickly become associated well with Ultron. How Iron Man, Captain America, Thor, and the others contend with the threat will be the big question, as tensions between teammates rise in this film, including a titanic bout between The Hulk and Ol’ Shellhead in his Hulkbuster armor! 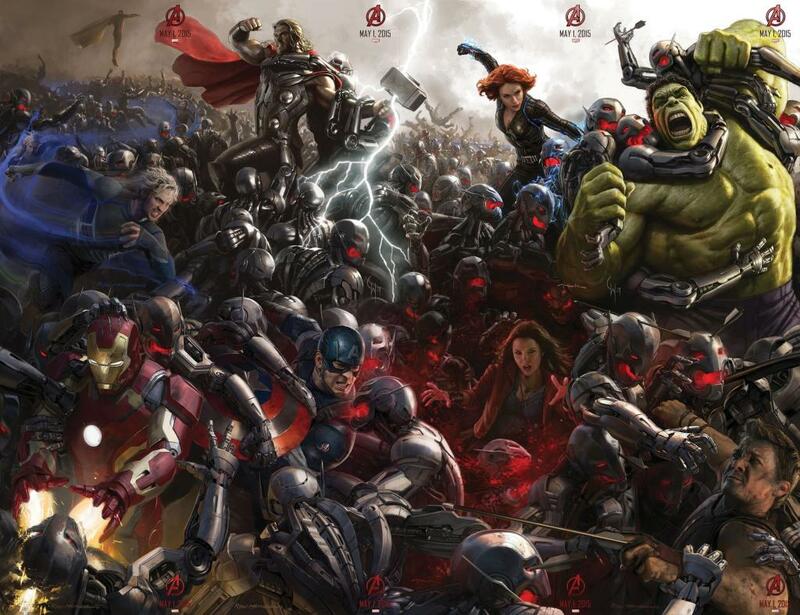 Avengers: Age of Ultron, once again directed by Joss Whedon, will be released in US theaters on May 1, 2015. Previous articleArrow and The Flash get season renewals, and Vixen joins the CW DC Universe!